Looking for a quick recipe for Sunday Supper or to get through a week of lunches? 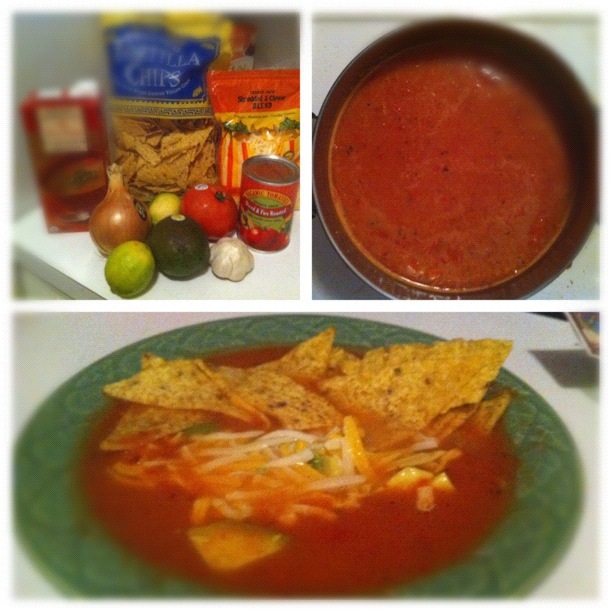 Give our homemade Easy Tomato Tortilla Soup a try! We love this recipe because it is easy to make and easy to tweak to particular moods and tastes. From a stack of ingredients to a delicious bowl of soup! Lightly brown garlic and onion in olive oil. Add broth, canned tomatoes, chopped tomatoes and chipotle pepper, allow to simmer. Blend all ingredients using immersion or regular blender. Add salt and pepper to taste. 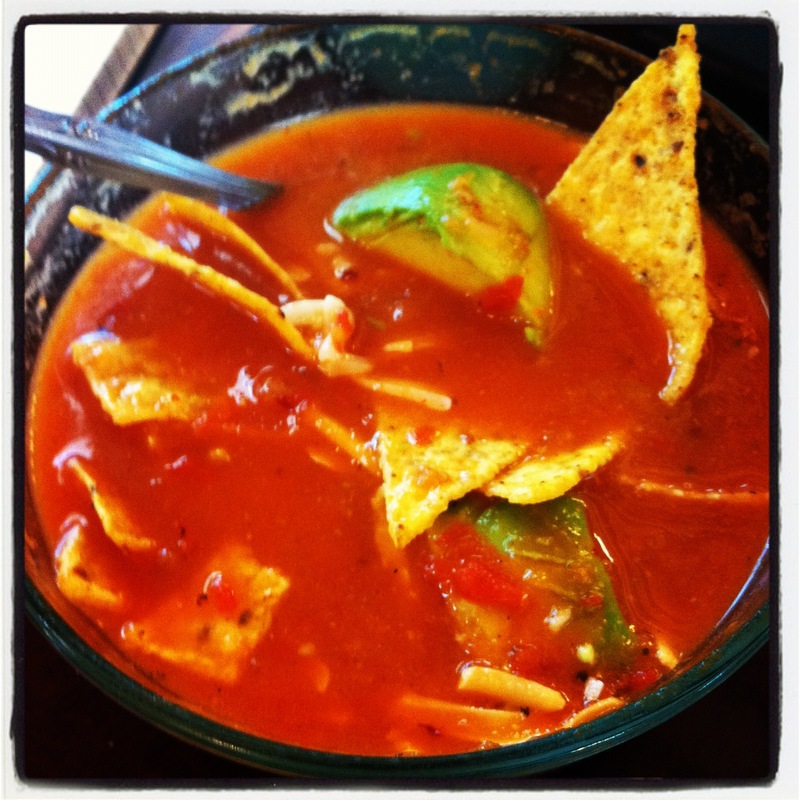 Garnish with avocado, shredded cheese, limes and tortilla chips when serving. If you’re looking for a little protein, add chicken, black beans or lentils to the soup. As always, please let us know if you give it a try! Thanks Ross! Thanks for sharing that link; we’ll have to give those recipes a try.